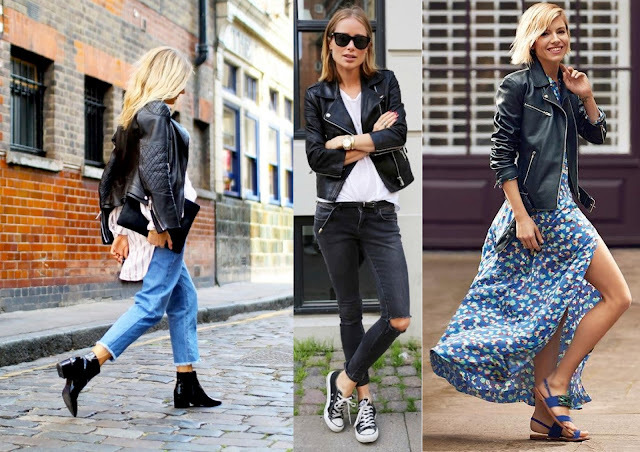 Even though leather clothing has been around for years, with the biker jacket being a popular choice, I would of never even considered buying it. It was then about 6 years ago I decided to purchase my first leather biker jacket, my love of leather clothing started. I still wear it to this day and undeniably an item I was glad to have bought. 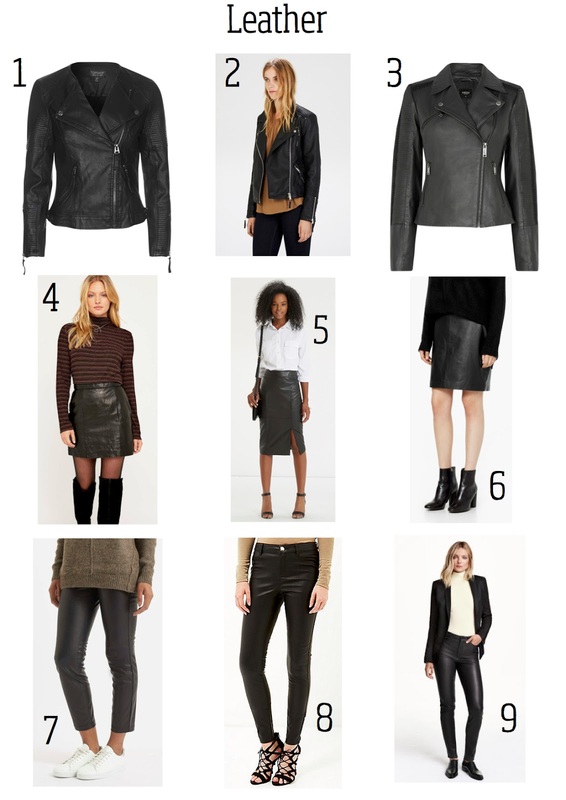 Leather has become an essential item for the wardrobe, the three main leather items to have are the leather jacket, leather skirt and leather trousers. These items will last you years if taken care of and become part of your capsule wardrobe. I only own 1 out of the 3 items, although I suppose I can count my faux leather skirt for now. I do however really want to invest in another leather jacket as over the years the leather has stretched and become a looser fit. I guess if you do go out shopping for leather take into consideration the wear and how leather does eventually stretch a little, but mind you this all depends on the type of leather and fit. This jacket will look great on most things, I love wearing it over a dress to toughen up a girly look or over jeans and tee shirt. It looks amazing teamed with denim or even layered under a wool coat during winter. I will talk more about layering in a future post. Below are a few looks from Pinterest. You seriously can't go wrong with a leather skirt, especially if it's in black. It will go with anything from tee shirts, shirts to chunky knitwear. I love the skirt paired with knitwear and trainers but looks equally great with a simple tee and heels. I'm not overly bothered if I don't have this in my wardrobe as I have a pair of black coated jeans that have that similar look of leather. Again you can't go wrong with this item in your wardrobe, it's the same as having black jeans or trousers, it will go with just about anything but also give you that edge in your outfit that you won't get from normal black bottoms.